All-terrain-vehicles, or ATVs, are extremely versatile vehicles that are capable of travelling over many different types of terrain and are used in a variety of settings. While not street-legal in the Commonwealth, there are many opportunities for ATV enthusiasts to ride their vehicles around Pennsylvania, including several trails in the Allegheny National Forest. In addition, ATVs can be very valuable tools for farmers or ranchers, allowing them to easily get around large properties quickly and efficiently. Unfortunately, the very characteristics that make ATVs so useful also pose a risk of serious injury to riders. In fact, the Consumer Product Safety Commission (CPSC) reports that there were over 100,000 people treated in emergency rooms for injuries sustained in ATV accidents in 2011 alone. These vehicles can be very powerful and are sometimes capable of reaching highway speeds. In addition, ATVs do not provide riders with the protections offered by a vehicle body, meaning that they can easily be thrown from their vehicles or even crushed in the event of a collision. The injuries that people can sustain in ATV accidents can be extremely serious, and may result in significant economic and non-economic losses. As a result, anyone who has been involved in one should discuss their case with an experienced Pittsburgh ATV accident attorney as soon as possible to ensure that their legal rights are protected. These and other injuries that people can sustain in ATV accidents have the potential to result in significant medical expenses, particularly in cases of serious injury. In addition, victims may be unable to work for an extended period of time, potentially resulting in lost income. In the most serious cases, people who are injured in an ATV accident may develop long-term disabilities that necessitate 24-hour care. It is extremely important, therefore, for victims to do everything possible to ensure that they receive the compensation to which they are entitled after an accident occurs. The first step in successfully recovering for your losses is discussing your case with an attorney experienced in ATV accident litigation. People who have been injured in ATV accidents may be able to recover significant compensation for their injuries. 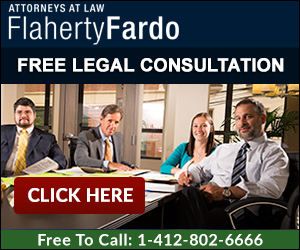 The attorneys of Flaherty Fardo are dedicated to helping ATV accident victims hold the people responsible for their losses accountable. We take all of our personal injury cases on a contingency fee basis, meaning that we do not get paid unless we bring your case to a successful resolution. To schedule a free consultation with one of our attorneys, call our office today at (412) 802-6666.